Access for 1 (one) to the annual Asbury Park Halloween Pub Crawl on Saturday October 26. For those that aren't aware, Asbury Park is a small town nestled on the New Jersey shore coastline. Boardwalks and beaches aren't the only attractions that this city has to offer. The local residents and surrounding towns know all too well what Asbury Park has turned into the past few years - a vibrant community of outgoing and happy people enjoying life. This Halloween, the NJ Zombie Apocalypse is quickly approaching. Zombie Nation will be in full force on Saturday, October 26. The spookiest zombies will be crawling the streets and scouring the local bars and pubs looking for the best deals on drinks. Luckily for the Zombie's, we've got them covered! 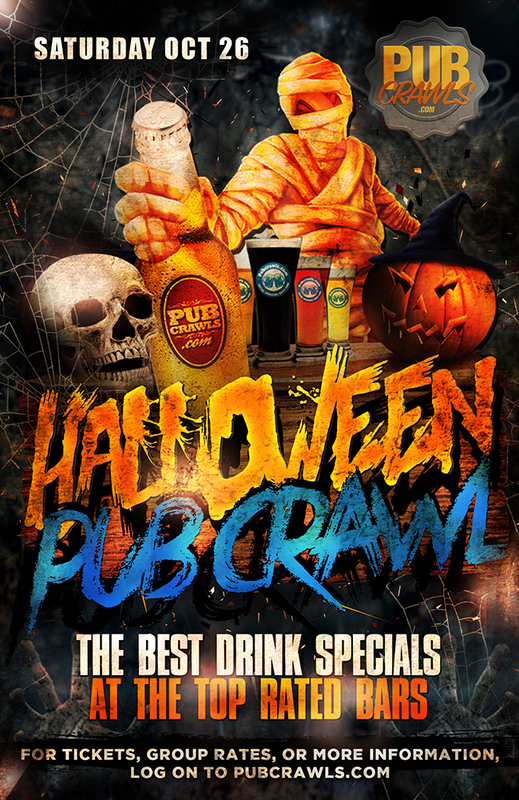 The annual HalloWeekend Pub Crawl is the perfect way to explore the town while having a comprehensive guided map with the best venues and specials in town. Let the Zombies run wild - Halloween 2019 will be one to remember for all of Jersey Shore.